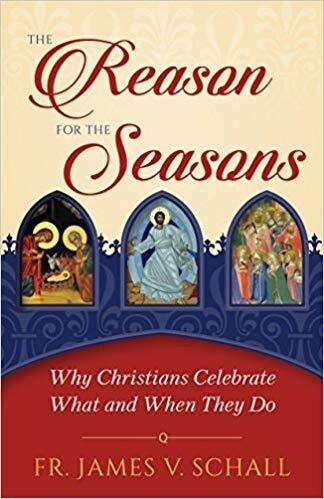 We can t be joyful without knowing why we should be joyful.That's why celebrated Catholic author James V. Schall, S.J., the the thinking man's priest presents these short but powerful chapters on the most important and joyful feasts of the Church s liturgical year. With Fr. Schall as your guide, you'll come to understand more deeply the point of each celebration. You ll learn truths about the feasts that will awaken you to real joy,as you consider Christmas, Easter, Pentecost, All Saints Day, and All Souls Day, as well as the End Times that we encounter in the last Sundays of the liturgical year. Rather than being encyclopedic discussions of each of the feasts, these penetrating reflections generally point to something astonishingly new that you missed before, something of the meaning and depth of each feast that is almost always passed over unnoticed, except by those who think long and deeply about them. In any one of these discussions, you'll find never-ending causes of insight into what we are and who God is. In a word, this powerful and delightful book affords you an enormous opportunity to consider anew the great truths of our Faith handed down to us by our beloved Mother Church, and that each year are celebrated in Her Feasts.